Felix developed a fever one night, which always gets the pediatric team scrambling. He underwent a series of tests (AGAIN) until it was discovered that Felix has CMV (cytomegalovirus). CMV is an incredibly common and widespread type of herpes virus that almost all of us have in our bodies without even knowing it. Once you have it, it’s there for life. It’s pretty harmless in normal, healthy people, but can be devastating to immune-compromised individuals – it is one of the leading causes of death among SCID babies. The infectious diseases doctors leading Felix’s care took us to the Quiet Room to deliver the news. “This is a game-changer,” they told us. We had to prepare for the possibility of losing Felix in the next week or two. If the CMV attacked any of his organs he would have almost no chance of recovery. Long-term treatment (i.e. gene therapy or bone marrow transplant) was suddenly much riskier. The doctors immediately began to treat Felix with intense intravenous antiviral medicine to combat the virus. On top of everything else he’s already getting. Our doctors arranged a meeting for us with a nurse practitioner who deals with end-of-life care. We discussed the steps we would take if Felix suddenly started to deteriorate and he reached a point where recovery was unlikely – we determined at which point we would stop active care and start palliative care. These are exhausting conversations to have. It’s been over a week since his fever, though, and he has not deteriorated. In fact, he has improved quite significantly. His temperature is down, he has more energy, and he’s starting to gain weight again. All of this does mean Felix will have to keep getting IV treatment for the long haul, so he’ll be getting a PICC line inserted this week (rather than constant scalp IV’s). This is both bad and good: it’s a sign that he’s much more ill and vulnerable than we’d already thought; but it will be much better for him than those lousy, delicate IV’s. So our week was an emotional tug-of-war between hope and grief. Maybe he’ll be okay. Maybe we’ll be saying goodbye to him before this year is over. I’m trying to be at peace with either possibility. Either way, he’s enveloped in love. And Ben is pretty sure Felix smiled at him for the first time last night. That’s something to hang onto. “Either way, he’s enveloped in love.” Sweet gal, I am watching in awe as your family survives each new day of caring for and loving your precious little boy. You are a rockstar. We will keep praying. wow can’t imagine what you’re going through. Thanks for taking time always to keep us updated. Been thinking and praying for you. Can’t wait for you to bring him home and keep him home. Crying. Hoping. Praying. Hugs, Kathleen. I’ve been meaning to write and let you know I’m praying for you. I’ve been there with sick kids (one with a congenital heart defect and one with an asthma diagnosis at 6 months of age and anaphylactic allergies at 1 year), but your buddy is sicker than ours ever were or have been. Nonetheless, the fear, the pain, the worry, the anxiety is still all there. It still brings tears to my eyes reading your story. Just know your are in my heart and prayers. Continuing to pray for your sweet baby Felix and your family! Praying so much! You are all amazing! Continuing to pray for you and precious Felix. What a beautiful gift from God Felix is. He looks so precious laying there I just want to kiss his sweet head. You show so much strength in even what seems to be your darkest moments. You have been chose by God and he makes no mistakes. I deeply admire you…Your ability to share your story…I can’t begin to imagine. Still praying for you and your family. God bless you all. We are praying so much for your beautiful little one. I hope he continues to improve! Oh Kathleen I can’t even imagine what you guys are living through. 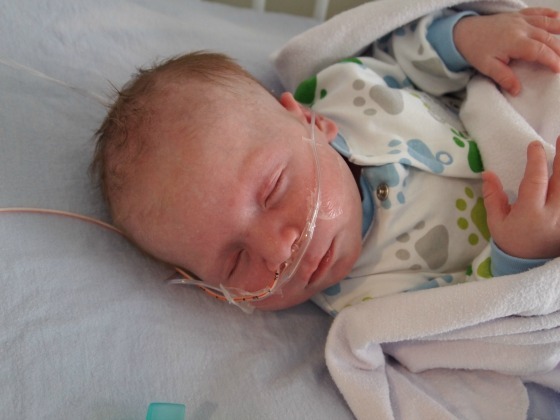 I’m so relieved to hear that Felix is improving – we are praying for this little guy so much. What a special child with an incredible mama. May YOU feel enveloped with love as well. such a rollercoaster of emotions…i can’t even begin to imagine. but you are in my thoughts and in my prayers every day! that’s wonderful that felix is showing improvement. sending love and warmth. I am so sorry for what you are all going through. Continuous prayers.